The Bangladesh Air Force (BAF) has released a request-for-proposals (RFP) for an unmanned aerial system (UAS) for intelligence, surveillance and reconnaissance (ISR) operations. 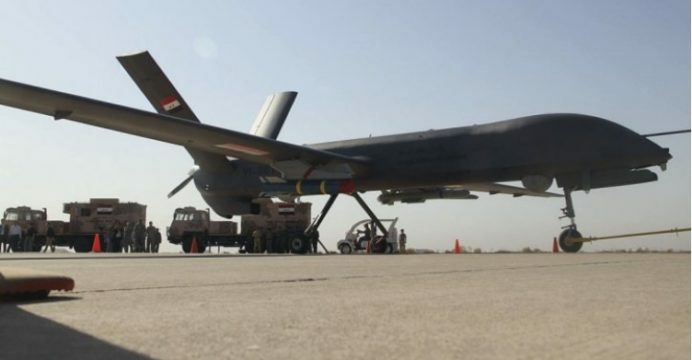 The UAS is to comprise of a medium-altitude long-endurance (MALE) unmanned aerial vehicle (UAV), ground control station (GCS), sensor subsystems and air-to-surface munitions. In its RFP, the BAF is requiring the UAV to have a minimum cruise speed of at least 140 km/h and a loiter speed capped at 140 km/h (or lower). The UAV must have a maximum speed of 200 km/h or more and a flight ceiling of approximately 20,000 ft, if not higher. With a minimum payload of 120 kg across three hardpoints, the UAV is to have a range of 1,000 km. If undertaking an ISR mission, the UAV must have a minimum endurance of 15 hours. When armed with air-to-surface munitions (through two of three hardpoints), the endurance must be at least nine hours. In terms of the communication data-link between the GCL and UAV, the BAF is requiring that the data-link have a minimum range off 200 km. The bidder must also include available electro-optical and infrared (EO/IR), synthetic aperture radar with ground-moving target-indication (SAR/GMTI) and precision-guided air-to-surface munitions (i.e. air-to-ground missile and precision-guided bomb). Dhaka is implementing a wide-ranging modernization effort of its armed forces. Bangladesh’s active bids include, among others, 8 to 12 new multi-role fighters, two anti-submarine warfare helicopters, a new 4×4 light armoured vehicle platform and, most recently, a MALE UAV. The specified UAV will provide the BAF the ability to form a persistent ISR coverage net with time-sensitive targeting and targeted-strike capabilities. It could provide an important boost for its border control and asymmetrical operations efforts without having to commit costlier platforms, such as fighter aircraft. Based on the BAF’s requirements, the leading UAV contenders would likely come from China and Turkey. In the latter, Turkish Aerospace Industries (TAI) can offer the Anka, which has a payload of 200 kg, service ceiling of 30,000 ft and endurance of 24 hours. TAI can also include Aselsan and Roketsan sensors and air-to-surface munitions, respectively, providing a complete package to the BAF. The Aviation Industry Corporation of China (AVIC) can offer several options, such as the China Aerospace Science and Technology Corporation (CASC) CH-4 and the Chengdu Aircraft Industry Group (CAIG) Wing Loong II. The CH-4 and Wing Loong II have a payload of 345 kg and 400 kg, respectively, and endurance of 40 hours and 32 hours, respectively. AVIC can also leverage a portfolio of precision-guided air-to-ground weapons and EO/IR and SAR/GMTI equipment. CASC has also begun marketing the CH-5, its largest MALE UAV with a payload of 1,200 kg and endurance of 60 hours.